I start with only a bow and a sword, fighting against entry-level enemies and depending on my dodging roll for survival. 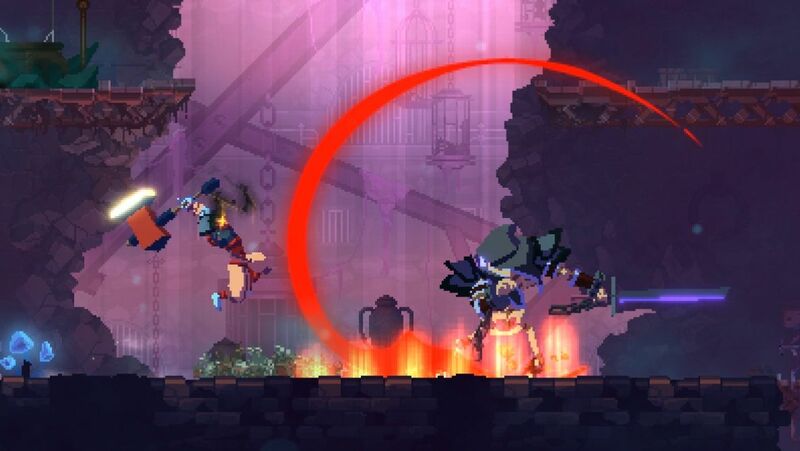 During the next five minutes of Dead Cells, I have doubled my HP. I’ve become stronger, and consequently, I begin to see myself as a walking killing spree that will leave no room hidden or treasure chest untouched, no matter how many enemies are guarding them. My damage is so high that I begin to ignore weaker obstacles. I just rush towards the boss, prepared to show them what I’m capable of. And in that moment of confidence, I lose my balance. And fall prey to my own foolishness.